For centuries, White Doves have symbolized the Holy Spirit, Love, Peace and Hope. A memorial White Dove release is peaceful and healing, a special way of expressing a final goodbye. A release can often follow a special prayer or poem or any other moment of your choosing. of your loved one released to ascend up to heaven. the Father, Son, and Holy Spirit. All join in a circle and ascend to Heaven. back to God's waiting arms. 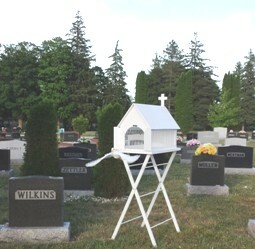 One White Dove represents the Spirit of the departed. representing the seven gifts of the Holy Spirit. 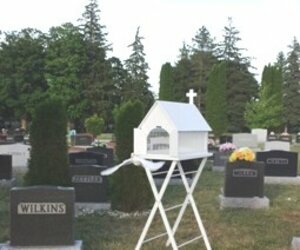 spirits of previously deceased family and friends. 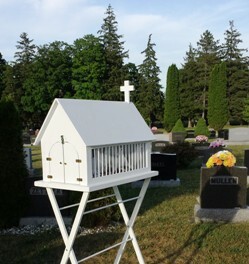 We can personalize a White Dove Release to suit any funeral service. 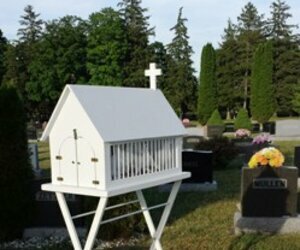 A Memorial Release can be booked directly, or through any area Funeral Home. It is appreciated that short notice will be inevitable. In these circumstances, we will do our utmost to accommodate your request for a White Dove Release.